In the last couple of lessons, we’ve been learning how to say “like” and “miss” in Italian. These phrases are confusing at first because they’re backwards compared to in English. But practice makes perfect – the more you hear them and practice using them, the more automatic they become. 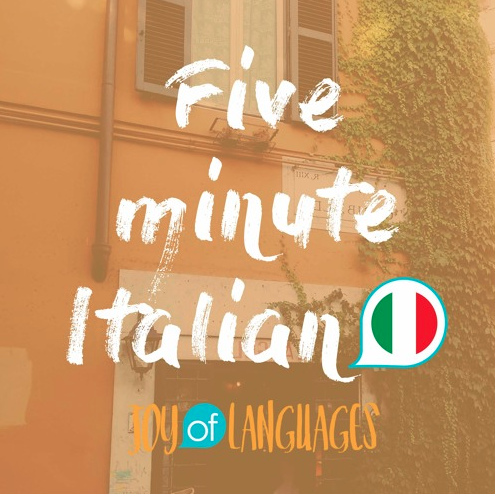 Practice using the verbs “like” and “miss” in Italian, and learn a couple of important rules that will help you get them right, in this week’s episode of 5 Minute Italian. Click here to take the quiz for this episode: I like it! I miss you! Talk backwards like an Italian. 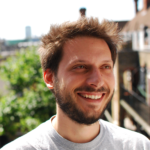 Download the flashcards: [5MI 50] Talk backwards like an Italian. K: And in the last few lessons, we’ve been learning how to use “backwards” verbs in Italian: “I like” (piacere) and “I miss” (mancare). Now for this episode you’ll need a bit of background knowledge about “ere” verbs, like “piacere” and “are” verbs, like “mancare” so if this is new to you, you can learn more about these by listening to episodes 39 – 44. But if that’s clear, let’s get on with today’s lesson. We call verbs like “like” (piacere) and “miss” (mancare) backwards, because instead of saying “I’m doing something” as we would in English, Italians say, “it does something to me”. An example of this is the verb “like”. 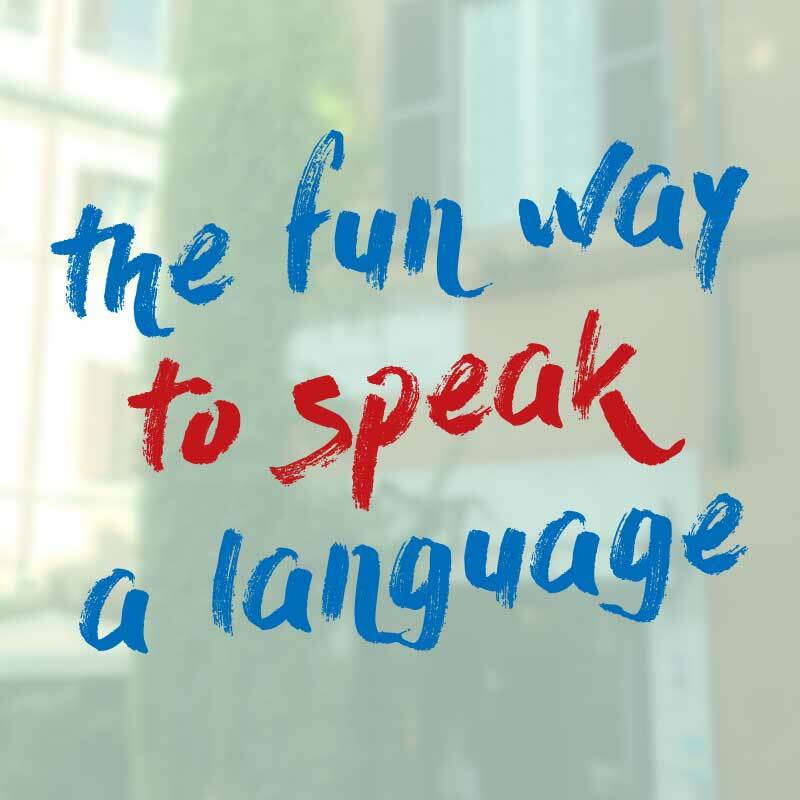 Can you remember how to say “I like it” in Italian? K: Literally “to me, it pleases” – it pleases me. K: Another example is “I’m sorry”. Can you remember how to say “I’m sorry”? K: Literally: “to me, it displeases” – it displeases me. And last week, we learnt another one which is “I miss it”. Can you remember how to say that in Italian? K: From now on, we’ll look at the verbs “like” and “miss” together, because they’re very similar, “molto simile”. Can you remember how to say “I miss you” remember that in Italian, it’s literally: from me, you miss. K: Great, so “manca”, it misses, becomes “manchi”, you miss, with an “i” at the end, in the “you” form of the verb. K: What about “them”? What if I wanted to say “I miss them”? Let’s start by getting the “they form” of mancare. So we know that “mancare” is an “are” verb. So how would you say “they miss”. M: Remove the -are and add “a – n- o”. Mancano. K: So how would you say “I miss them”? Literally, to me, they miss. K: Great. Now let’s try with “like” – “piacere”. How would you say “they please”. What’s the “they” form of “piacere”? M: Remove the “-ere” and add “o – n – o”. Piacciono. K: So how would you say “I like them”? Literally, to me, they please? M: Mi piace la birra. K: I like beer and an example of something plural that you like, so you can practice saying: “I like them”? M: Mi piacciono le patatine. M: Mi piace la birra e mi piacciono le patatine. K: That sounds like a good plan for Friday night! Now let’s try with “mancare”. You lived in England for a year with me. What’s one thing you miss about it? K: I miss the pubs. I can see a theme here! What about you? What food, or drink or music do you like? And is there anything or anyone you miss at the moment? Come over and practice your Italian by answering this question on the Facebook group, you’ll find the link in the shownotes below.